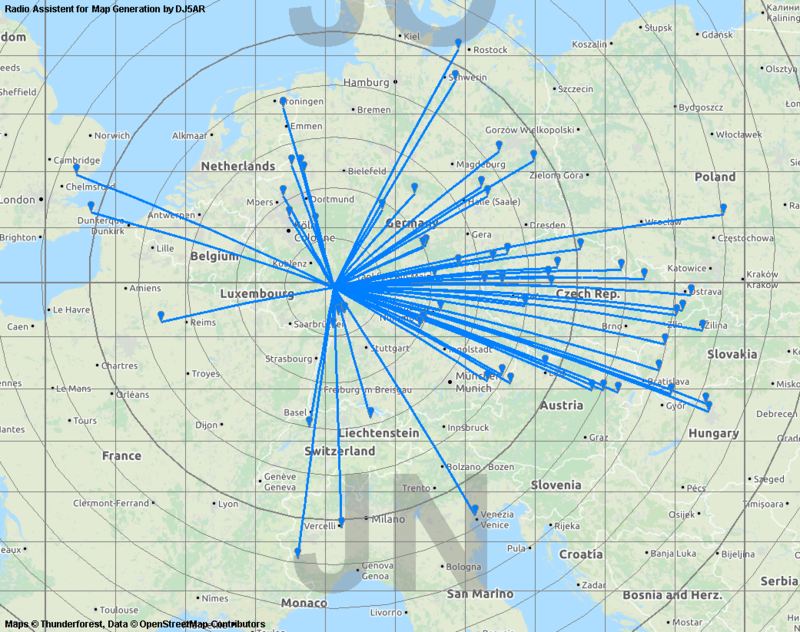 This morning I had a look for DB0MFI, a new beacon on 1296.940 MHz in JN58HW. It is audible with 529 constantly via tropo and peaking 579 via aircraft scatter. The power is 5 W into a 4 times stacked big wheel antenna. This entry was posted in Beacons and tagged 1296 MHz, Aircraft scatter, beacons, DB0MFI on 2018-06-18 by admin. 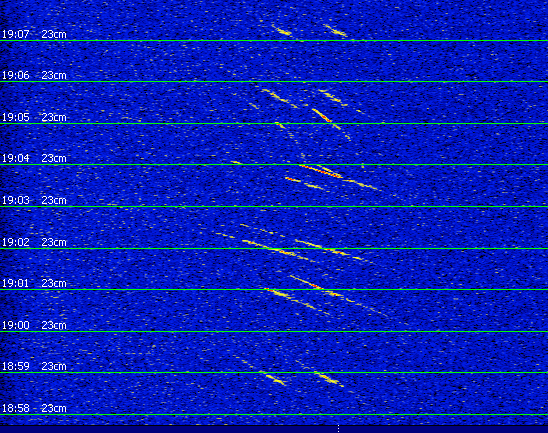 Nice surprise this morning on 2m: OY6BEC can be heard over 1642 km with a strong signal. This entry was posted in Beacons and tagged 144 MHz, 2 m, beacons on 2018-06-05 by admin. Recently, when getting the WAC Award for 23 cm, I outed myself, not really being an awards collector. 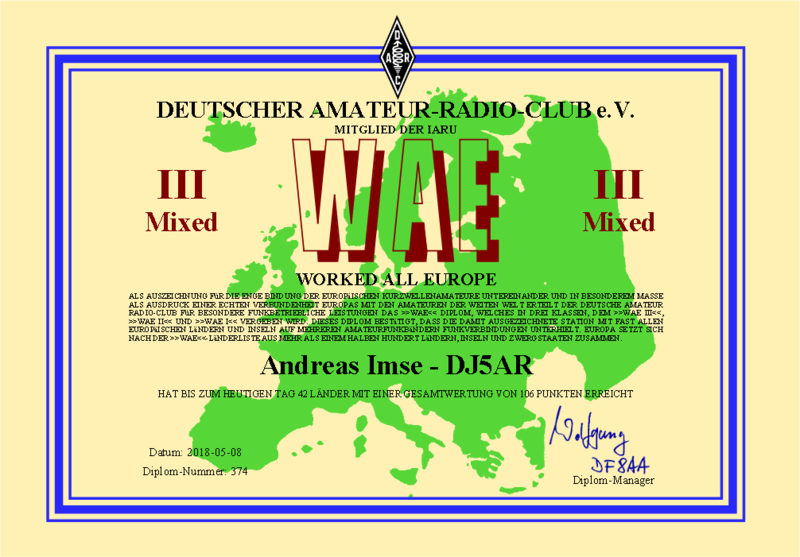 The other day some HAMs proudly presented the first WAE awards for FT8 only contacts on Facebook. So the question was, how far would I come with VHF and up. Surprisingly I found QSLs for 42 WAE countries and 100 band points, when checking my shoe boxes and the QSL systems in the Internet. As electronic QSLs were involved, these had at least to be imported to the German “DARC Community Logbook”, short DCL, for the award application. It´s not my favourite, because there are problems to enter and store QSOs on the GHz bands. I asked the developer about and he mentioned, that it isn´t intended for. So I decided to interpret DCL as “Direct Current Log”. No wonder, there also was no way to delete the six embarassing shortwave QSLs, it had imported automatically. This entry was posted in Award and tagged 13 cm, 2 m, 23 cm, 432 MHz, 70 cm, Award on 2018-05-08 by admin. The french beacon F5ZBM is on air again. I found it accidentally, when looking for other french beacons. 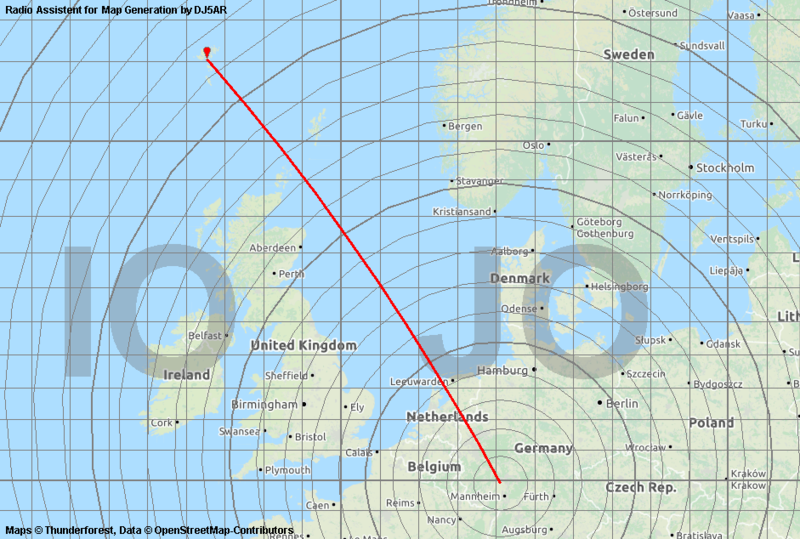 It is at a new location in JN18MN near Paris transmitting on 1,296.8475 MHz. 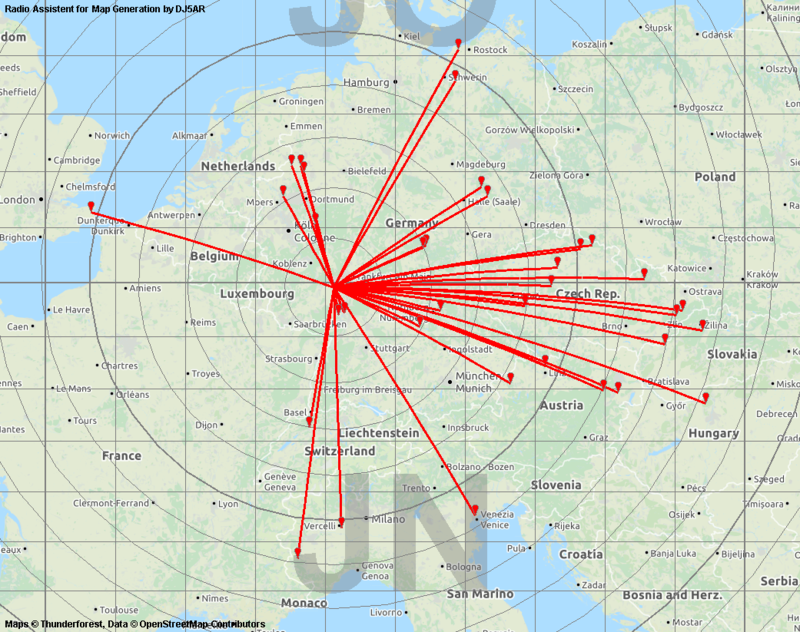 Nice to monitor it in Mainz via aircraft scatter over a distance of 406 km! 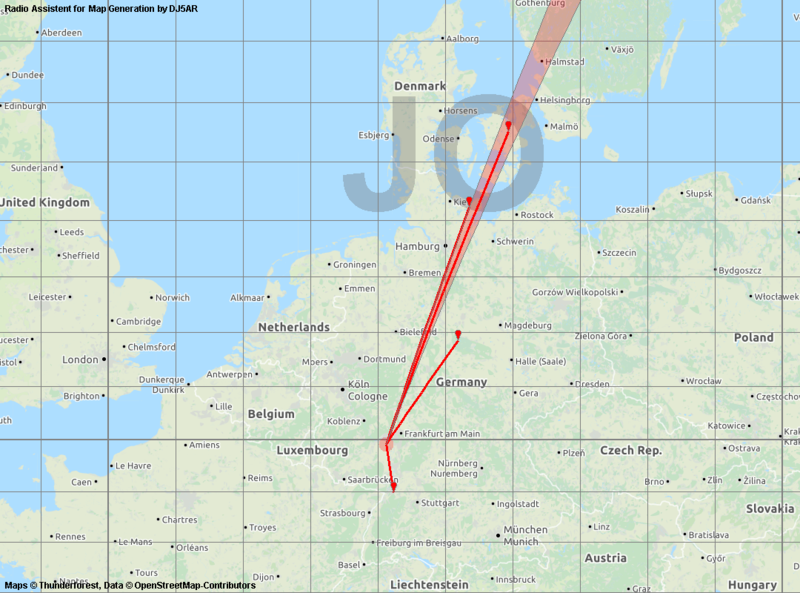 This entry was posted in Aircraft Scatter, Beacons and tagged 1296 MHz, 23 cm, Aircraft scatter, beacons, F5ZBM on 2018-04-20 by admin. With the dish bearing eastwards tonight I mentioned the trace of a signal appearing and disappearing close to the local beacon of DF5AY. A quick look at beaconspot.eu told me, DB0TUD should be around there. I copied DB0TUD in summer 2017 via rain scatter on 13 cm, but never on 23 cm so far. Curious about the source of the signal after catching a “…UA…” I turned the dish to Dresden and monitored the frequency for about an hour. 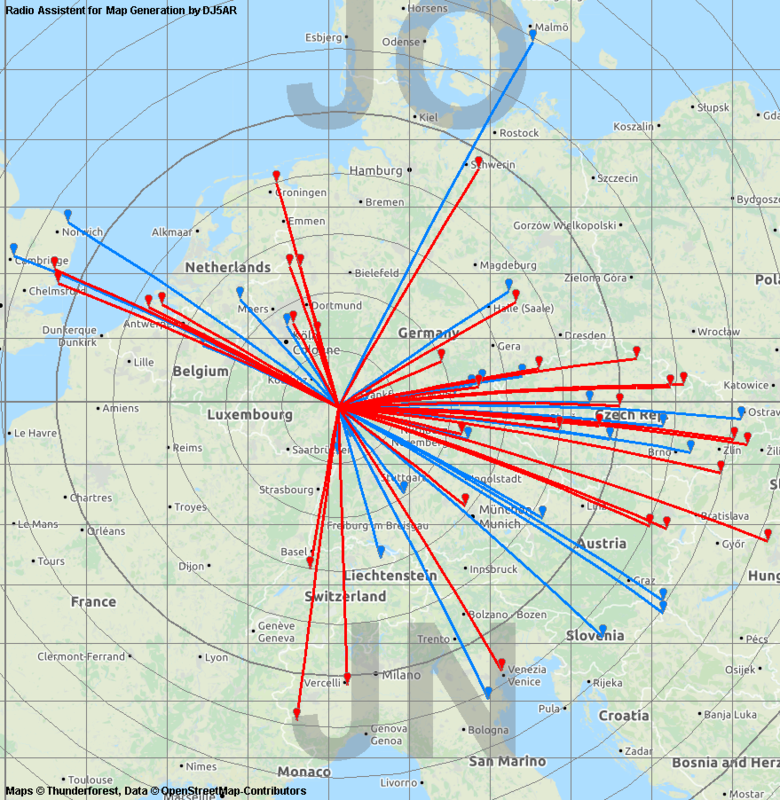 The mostly short appearences of the signal correlated with planes crossing the path to DB0TUD in JO61UA. 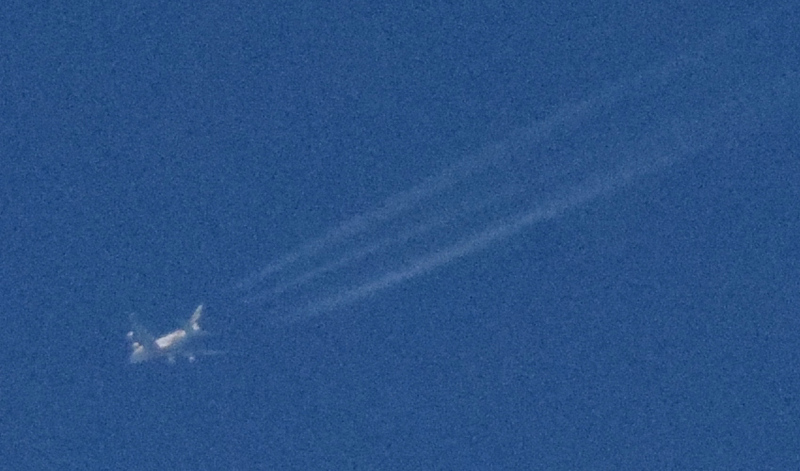 After an hour or more I got a reflection containing some CW : ” …0TUD JO61…”. This entry was posted in Aircraft Scatter, Beacons on 2018-03-23 by admin. 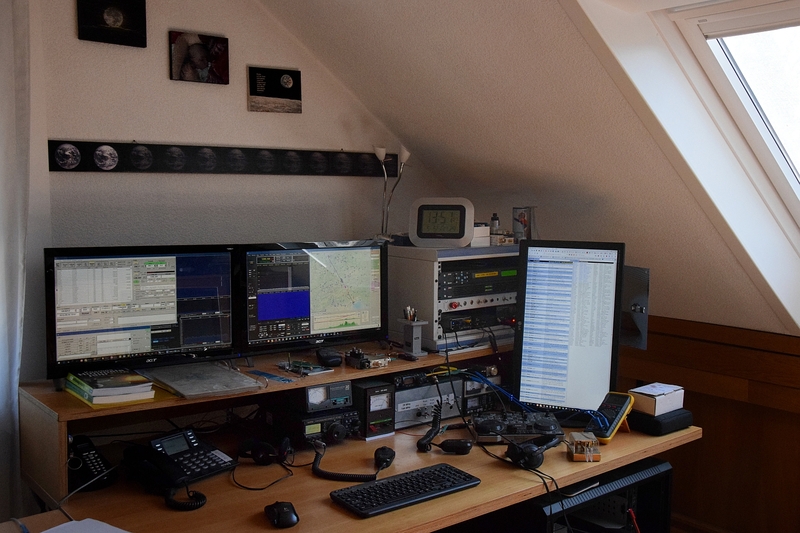 This entry was posted in Contest and tagged 1296 MHz, 23 cm, Contest on 2018-02-07 by admin.